The holiday season has begun again in Icicle Falls, Washington, and once again Candy Cane Lane is the most elaborately decorated street in town. Maddy Donaldson is the driving force behind the neighborhood’s decorating extravaganza. She polices the street to make sure each house has at minimum outdoor lights and plastic candy canes, available at the hardware store her husband owns. She spends more than her share of shifts dressed as Mrs. Santa and passing out candy canes to the visitors who drive by to view the most decorated street in Icicle Falls. In fact, Maddy is so busy with all her seasonal activities that her husband and her thirteen-year-old daughter are feeling neglected and resentful, and the mother-in-law from hell is arriving for a holiday visit. Ivy Bohn is just trying to get through her first Christmas as a single mother. Between her responsibilities at Christmas Haus, her family’s Christmas shop, and trying to make the season special for her two young children, Ivy is feeling overwhelmed. Her ex may be making noises about forgiving and forgetting, but Ivy is ready to do neither. Rob walked out a year ago because he no longer wanted the responsibilities of marriage, and he wasted no time hooking up with someone new. Whatever his regrets now, Ivy is not about to let him back into her house or her heart, no matter how many tears their daughter sheds or how many Christmas lights Rob puts up to add to the glow on Candy Cane Lane. 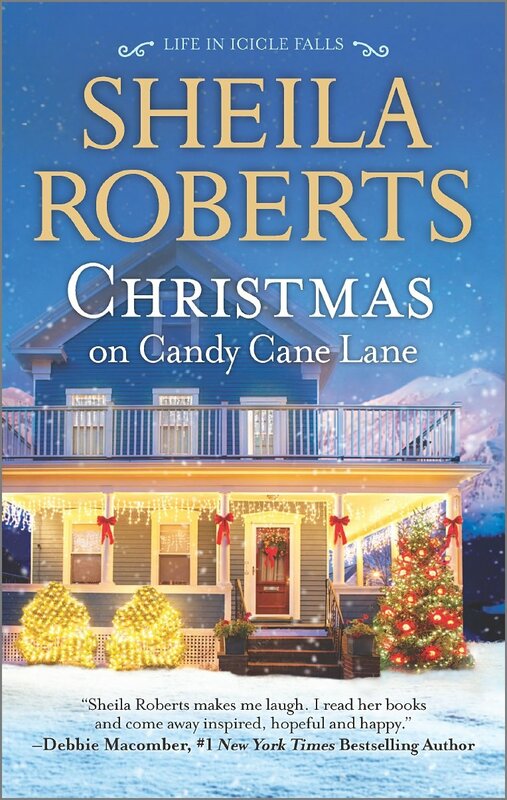 While the residents of Candy Cane Lane deal with their separate problems, a Christmas vandal is attacking the holiday displays and destroying candy canes with a vengeance—once, twice, three times. Is the perpetrator the rude, unruly teens whose taunts ring more loudly than canned carols, or is it someone closer than those on Candy Cane Lane dare consider? 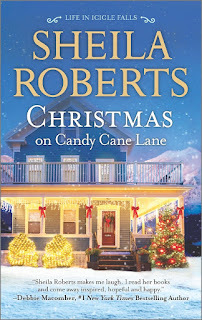 Roberts weaves these stories together with her usual charm and humor. In addition to the lead characters, characters from earlier books show up to add to the overall festive note. I found myself wishing for fewer plot threads and more development of the characters. Any one of these stories could easily have been its own book. Nevertheless, Icicle Falls is a heartwarming place, and this book contains enough Christmas traditions to appeal to those who love them and enough substance to challenge the reader to consider her own holiday priorities. If you have enjoyed other books in this series, you will probably enjoy this one as well. Although it is unlikely to win a “Best of 2015 Christmas Season” ribbon, it offers a pleasant way to spend a few hours. This is on my wishlist. Sheila's covers are so attractive. They really catch my eye. Love to read Christmas novels; gives me the warm and fuzzies. I agree about the covers. They are appealing, and they actually fit the stories. And I too love Christmas stories. I think I need to check this out. I love that cover, too, especially the porches!